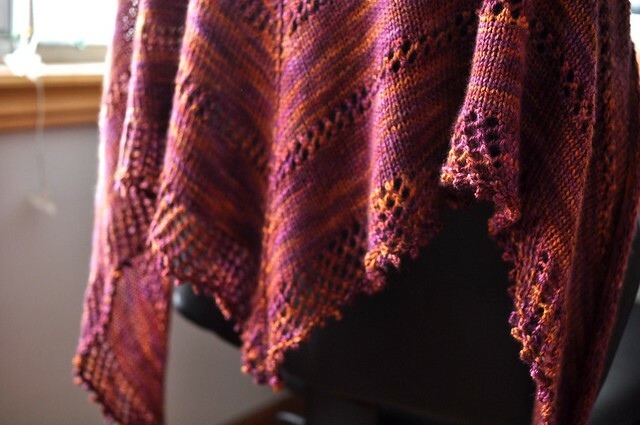 One last Christmas present to share with you – this lace-and-stockinette shawl, for Dale’s mum. 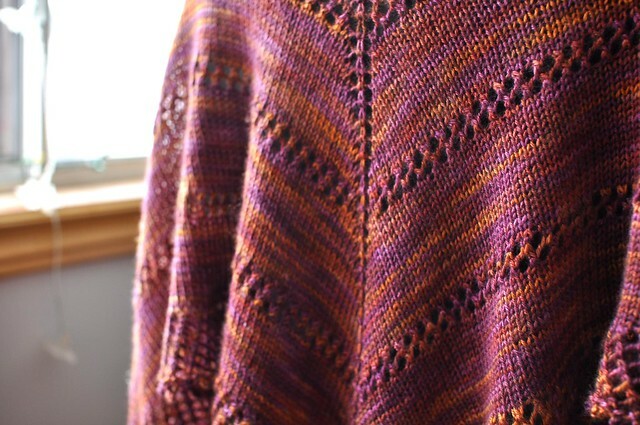 This was a pretty awesome, easy knit from December. 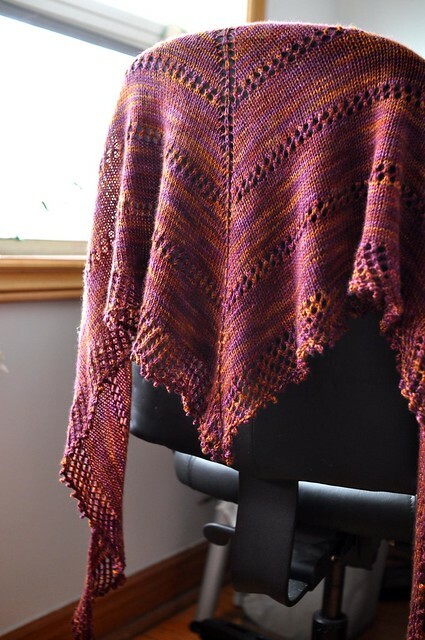 I used a pretty special skein of yarn, Fyberspates 4ply cashmere/silk. I picked it up at Purl City Yarns in Manchester when I was there a couple of years ago, I just couldn’t resist the colour and AMAZING softness! 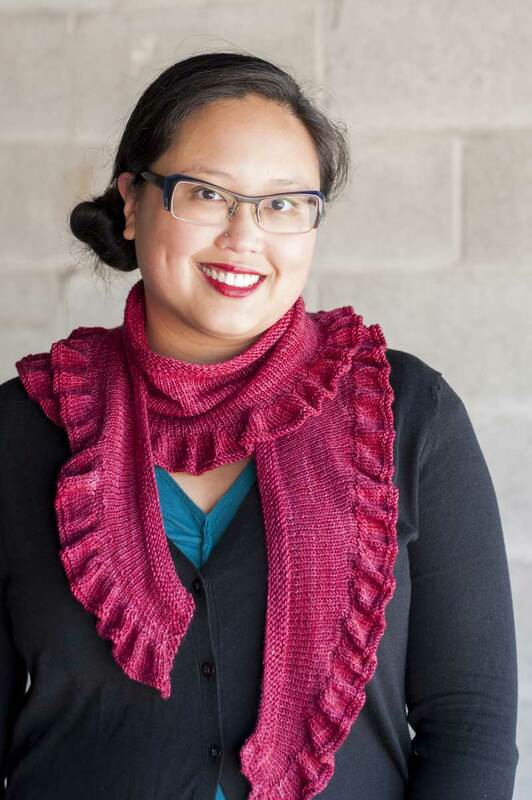 I knit up a simple top-down triangle with wings (increasing on the ends every row), a little lace for every 20 rows of stockinette, and more of the lace at the bottom. I think it came out really nicely, and was well received. It’s bitterly cold here, though not as cold as parts of the US! 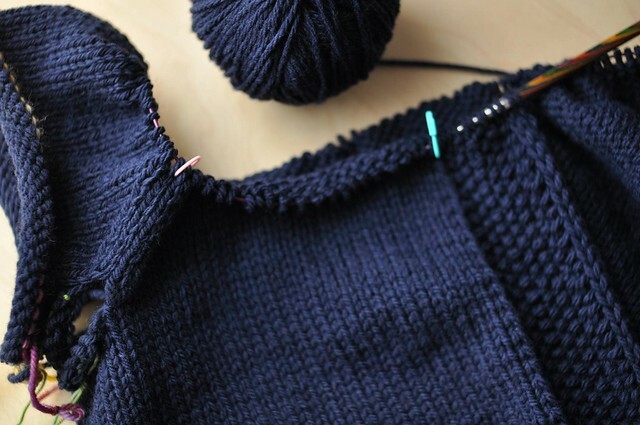 Still, I wish this sweater in Osprey I’ve been working on was done and not just in progress! I don’t have to go anywhere today, but I did agree to go to the dentist tomorrow morning and the temperature is supposed to be -21C with a windchill of -35C (-6/-31F). Yikes. Stay warm! The weather is so nasty! I am sure Dale’s mom is making good use of her pretty shawl.